the centre-lock system, a light alloy rim and had 5 slim windows for brake cooling. In 1955 the CABO wheels were updated with 10 "Turbo" style windows in a classic oval shape. Normal with steel rim, Sport with light alloy rimand Sprint with light alloy rim and centre-lock system. are dated 17th of September 1954 with the design noted as the CABO series RD3099. 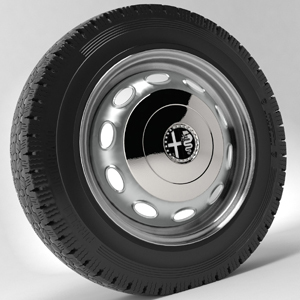 The wheel was re-named the following year to coincide with the release of the new Alfa Romeo Giulietta. 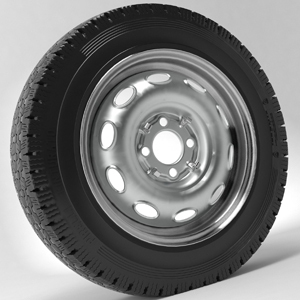 the 7,000 Lire for a standard steel wheel. Alfa Romeo Giulia (generally called "Bimetal"), is finally available once more. This true Borrani re-release has been manufactured using our original drawings. This offers to every Giulietta enthusiast a sporty and elegant alternative to the standard steel disc wheel. 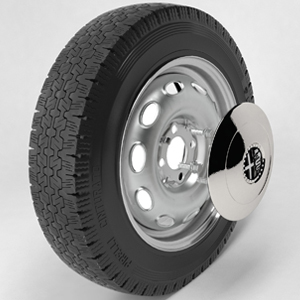 The bolt-on R1-257 4.50"x15" "Turbo Sport" uses the original Alfa Romeo hub cap while the "Turbo Sprint"
series uses the Rudge centre-lock system, being held on by a 2 or 3 eared spinner. a silver painted centrebut is also available, upon request, with a 5" or 5.50" wide rim and custom colors. can give an elegant touch to all cars thanks to our high polished light alloy rim. for every model of Giulia and Giulietta with both disc or drum brakes. Also, we can provide you the correct Cinturato Pirelli 155HR15 tires showed in these images! For more information, assistance or quotes please contact us! the installation of these will require complete disassembly of the front brake system. Follow ous on our Fecebook Page to see more pics!